Rodrigo is MIA from this week’s Major Spoilers Podcast, but that doesn’t mean you won’t want to download the episode, as the Adriana and Kristen from the Super Future Friends podcast join Matthew and Stephen for a discussion of all things LoSH since the end of Legion of Three Worlds. Gasp! in amazement at how the Legion has changed! Discover the shocking revelations since Final Crisis came to an end! Be prepared to be dumbfounded, as everyone tries to explain exactly what went on during Legion of Three Worlds! 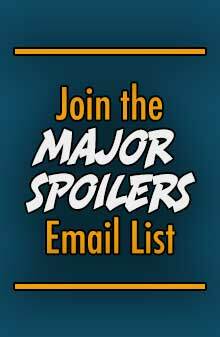 It’s all in the next exciting issue of The Major Spoilers Podcast! Yes, I love the Super Future Friends!!! The Legion and many of it’s forms (Legion ’89, Wanderers) have been long time favorites of mine. I am glad you are talking Legin again, only too sorry that Rodrigo has not yet been brought fully into the fold. Maybe you could Clockwork Orange him rather than wait for him to come around. No other comic has such a diverse cast and full history to pull from. The threebooted Legion was good, untill a certain writter (who wasn’t breast fed or something) began writting female legionnaires and women in general like tramps/cougars/evil and/or victims for, NO REASON AT ALL! Ricco, I think you’re preaching to the choir here – one of the things that made me love the Super Future Friends was that they were the only people I had heard (at that time) that shared that opinion. It’s so nice to know you’re not alone sometimes. Can’t wait to hear this show – their last visit was awesome, and I’m interested to hear what they’ll say about L3W. 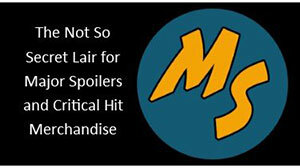 Prior to my time visiting the Major Spoilers website, I had not had any exposure to The Legion. True, I had read comics prior, but when I had first started reading comic books I only had access to them via a local grocery store that my folks sometimes went to. Luckily for me I stumbled across MS shortly after I found a real LCS. I remember stumbling across the Hero History for The Legion of Substitute Heroes and being hooked. The rest? Future history. Finally got around to listening to this one while driving 3 hours. I’m the “they” that you guys talk about at 1:13 into the show, from that “Adventure 24/7” blog. It’s actually the Legion Omnicom, at http://adventure247.blogspot.com (named after the first Legion appearance in issue #247, not 24 hrs a day/7 days a week). Matthew wanted to know who a particular character in “Legion of 3 Worlds” #5 is, but I’m not sure if he wanted me to tell him who it is or just give him a hint. 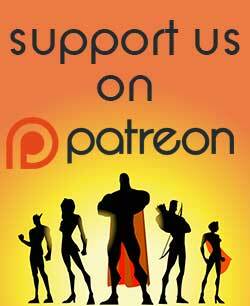 Thanks for the quick plug; Matthew said he’d plug my site on a future episode too (but this time he can give the actual address). Finally got around to listening to this one while driving 3 hours. Iâ€™m the â€œtheyâ€ that you guys talk about at 1:13 into the show, from that â€œAdventure 24/7â€³ blog. Itâ€™s actually the Legion Omnicom, at http://adventure247.blogspot.com (named after the first Legion appearance in issue #247, not 24 hrs a day/7 days a week). Matthew wanted to know who a particular character in â€œLegion of 3 Worldsâ€ #5 is, but Iâ€™m not sure if he wanted me to tell him who it is or just give him a hint. Thanks for the quick plug; Matthew said heâ€™d plug my site on a future episode too (but this time he can give the actual address).